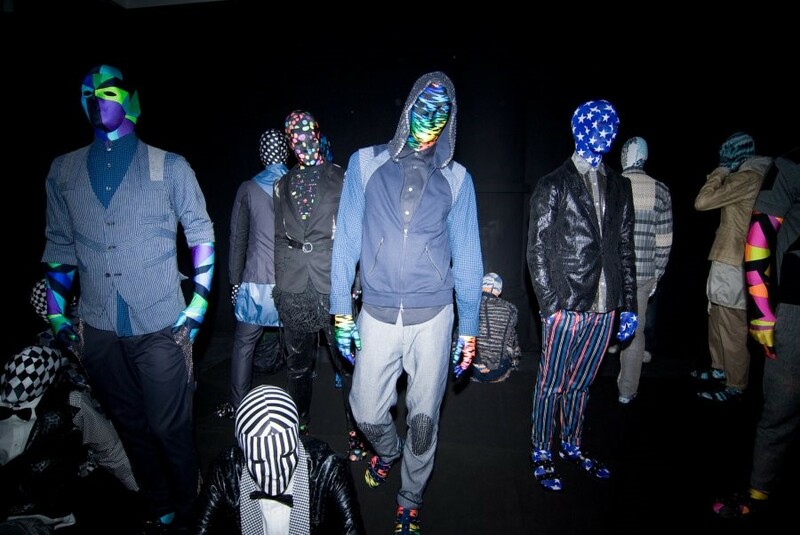 A masked deconstruction of sportswear was presented at Nicolas Petrou's menswear debut. We actually already previewed Nicholas Petrou's S/S 10 collection but it was nice to see it in a physical setting at the Dex Studios as opposed to the imagined backgrounds that Petrou uses for his lookbook. Our very own Robbie Spencer styled the show which saw models in a plethora of masked jumpsuits with Petrou's casual tailoring fused with active sportswear. You need to have the Macromedia Flash plugin installed to be able to play this video.